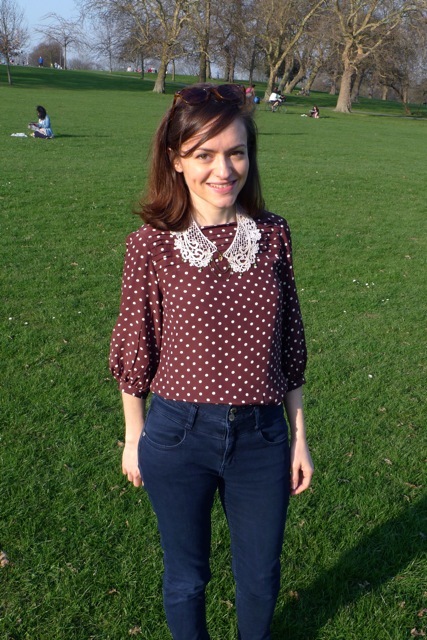 Day 1 - Chocolate Buttons Button-Back Blouse, lace collar necklace and high waisted jeans for a gorgeous day spent in the park and at two birthday parties. Day 2 - Refashioned Lace Blouse, black trousers and grandma shoes for brunch at a friend's house. Day 3 - Chocolate Buttons Button-Back Blouse and Banana Sweetie Skirt (a chocolate banana, no less) for the office and the plane for a last minute business trip to Lithuania. 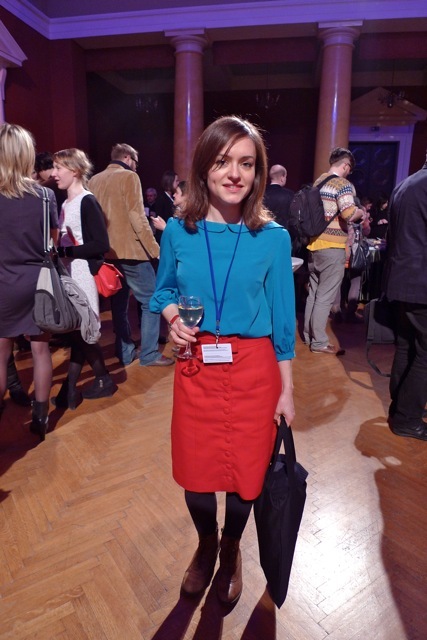 Day 4 - Teal button-back blouse and A Dazzlingly Red Beignet for the mayor's reception at the Vilnius Film Festival. If I had Karen's chutzpah, I would have got a shot with my arm round the mayor, but I'm embarrassed enough just getting my own photo taken. 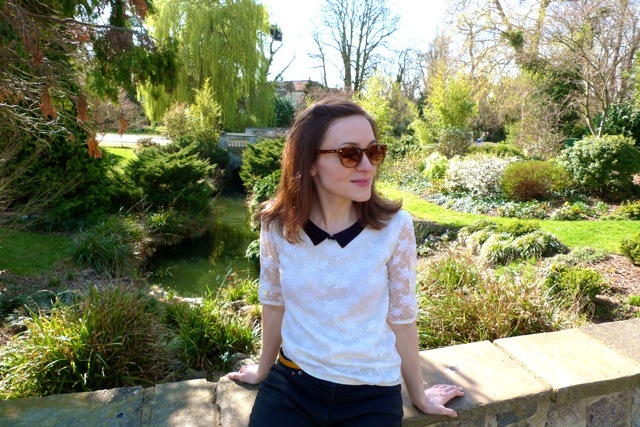 Day 5 - Refashioned Lace Blouse and black trousers (are you bored yet?!) in Dulwich park. 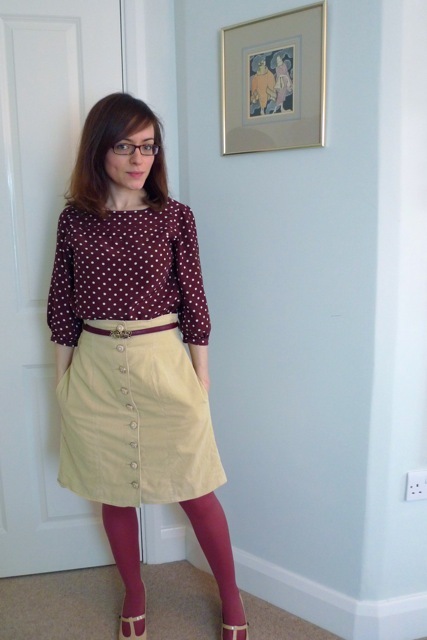 Day 6 - Chocolate Buttons Button-Back Blouse and high-waisted maroon jeans. High time you saw the buttons at the back, the main feature of all these blouses! 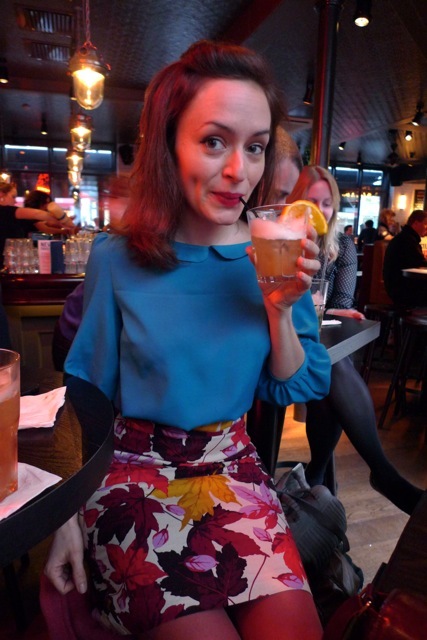 Day 7 - Teal button-back blouse, Autumn Maples Skirt and an amaretto sour (or three) at OWOP! cocktails. In real life my head isn't quite that mammoth in proportion to the rest of my body. Or at least I hope it's not. So what were my reflections from the week? Firstly, I was overwhelmed by the sheer number of people involved in the project - 105 OWOP-ers! 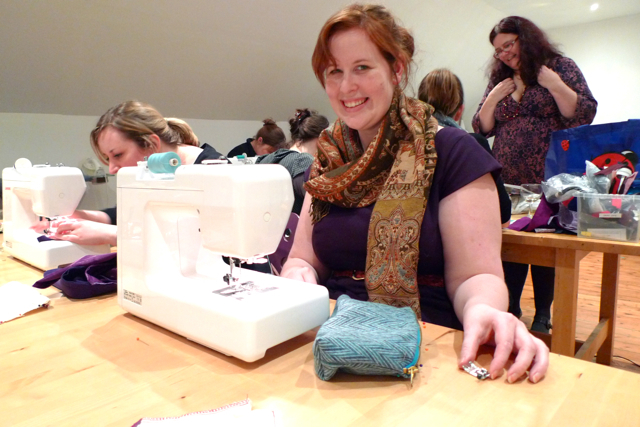 What a fantastic online sewing community we have. I love the idea that the term "OWOP" has now entered the vernacular of our friends, family and colleagues - brilliant! 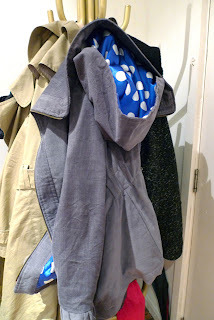 What's been particularly interesting is seeing a temporary shift in the blogosphere from snazzy patterns and vintage dresses which are great for posing in to practical styles which are what we really wear on a daily basis, for going to work, pottering round the house or nipping to the shop. It's definitely got me geared up to make more everyday clothing and to be honest with myself about how much use I'll get out of a pattern and garment before making it. I've taken lots of inspiration from fellow OWOP-ers for my new everyday wear wardrobe - for example, poor Tamsin had to put up with me feeling up her perfect denim Portfolio dress las night. Over the last seven days I really got to know this pattern! 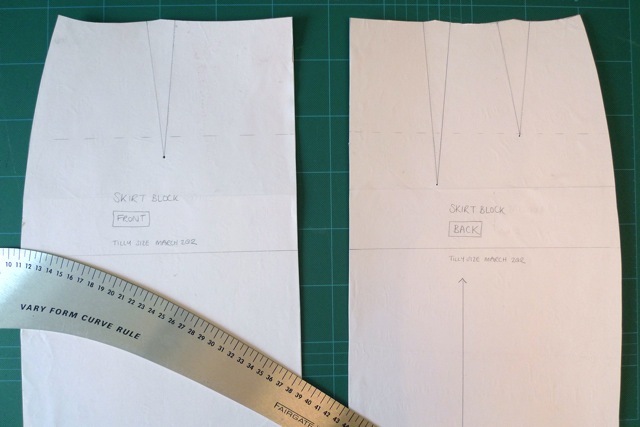 Having worn it for seven days I've decided to make some adjustments to the pattern to make it fit even better - in particular redistributing some of the ease from the back to the bust to stop me pulling at it all the time. 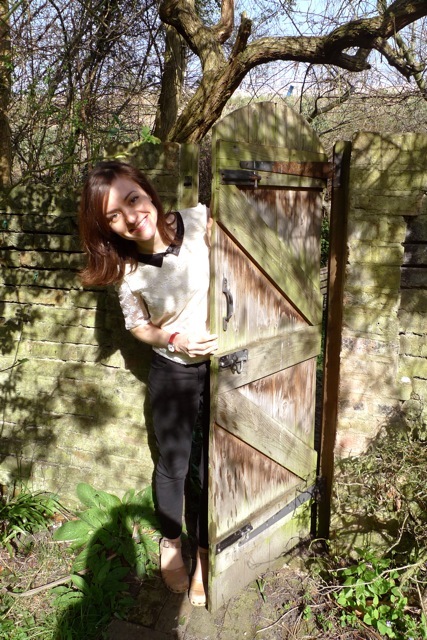 From seeing these photos I've also learnt that I need a haircut! I hate to sound vain but my hair really does look awful. I could do with some hair styling tips for lazy women if anyone has any - nothing that takes more than five minutes, please! How about you? How was your week? What reflections do you have on the project? If you’ve posted your photos on a blog, Pinterest, Flickr or whatever, leave a link in the comments so we can all see. I’ll post a few photos by OWOP! participants in a subsequent post so if you submit a link to your photos in the comments I’ll assume you’re happy for me to borrow your photos otherwise please say if you DON’T want me to borrow your images. 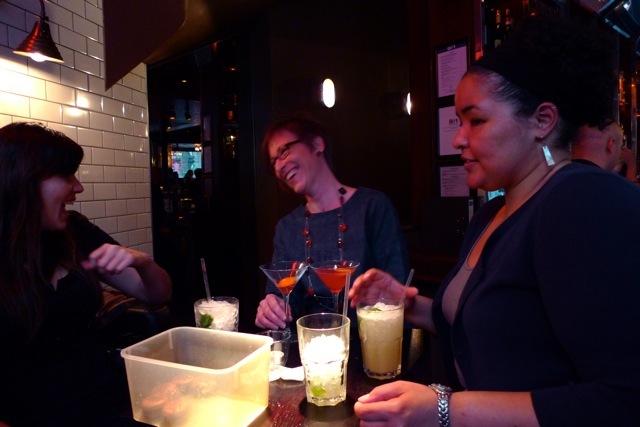 And finally, big thanks to the lovely Karen for having the marvellous idea to organise a London OWOP! cocktail party! 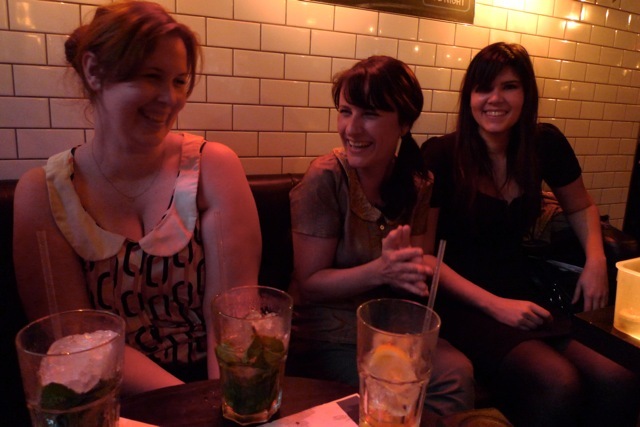 Karen, Laura, Rachel, Tamsin, Melizza, Alana, Joanne and Rachel again in the photos above. The perfect way to celebrate the end of the week... can't wait to put a Breton top on today! 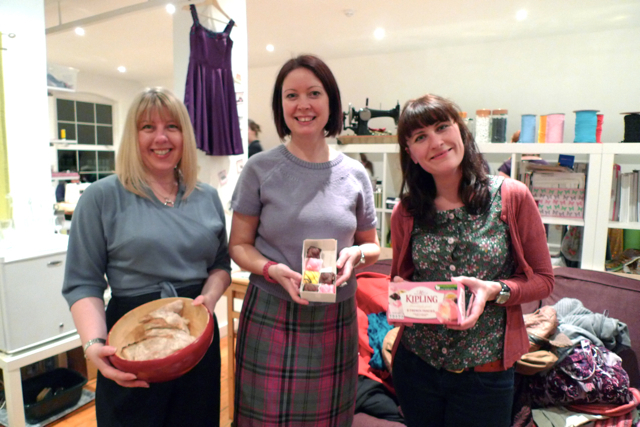 Can you believe it, there are MORE prizes to be won to celebrate OWOP! week? Three – yes, three - readers will win five – yes, five! – Simplicity or New Look patterns of their choice. 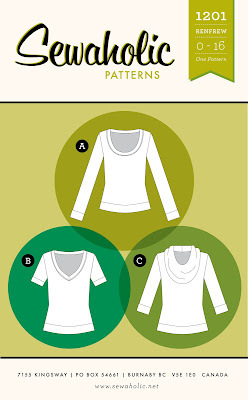 4) Leave a comment on this blog post saying which patterns you’d choose. The deadline to enter is Thursday 5th April 2012 at midnight GMT. The three winners will be selected by random number generator and announced on this blog on Friday 6th April. The giveaway is open internationally and includes shipping. Don’t forget to leave your email if it’s not linked to your blogger profile so I can let you know if you win. 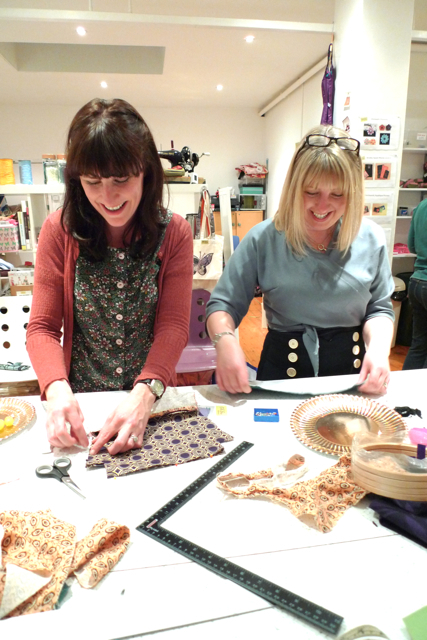 No less than 20 OWOP-ers are wearing Colette Patterns this week – that’s nearly a quarter of participants. Pretty impressive how popular they are considering it’s an independent business. Tempted by some of the patterns you’ve seen participants sporting? Good news! As part of OWOP! week, Colette Patterns are offering one lucky winner two patterns of their choice! Which would you choose? Renae is wearing the Violet blouse all week – she says, “I love that it looks great with almost anything and that it's so quick and easy to sew up”. Sounds good. Or maybe you’d pick the Ginger skirt, of which Melizza says, “I love how fast and easy it is to make and how darn slim it makes my waist look”. Who would argue with that? To enter the giveaway, leave a comment below saying which two patterns you’d pick if you won (just because I'm nosey). The deadline to enter is Thursday 5th April 2012 at midnight GMT. The winner will be selected by random number generator and announced on this blog on Friday 6th April. The giveaway is open internationally and includes shipping. Don’t forget to leave your email if it’s not linked to your blogger profile so I can let you know if you win. I wake up around 6:30am. I go to the gym a few mornings a week and take a spin class or do my own thing for about an hour. I live across from a park so I bike through it to get to the gym. Afterwards, I ride home to get ready for the morning. I jump into the shower and get dressed. I have a disproportionate amount of dresses to anything else in my closet, so that’s usually what I wear. For breakfast I usually make a fruit smoothie and eat toast with almond butter and bananas for breakfast, or homemade oatmeal muffins. I check my email and send out any orders that came in through the night on my Etsy shop and respond to new emails. Then I pack my bag and I’m out the door. I ride my bike to the studio, which is only ten minutes away. 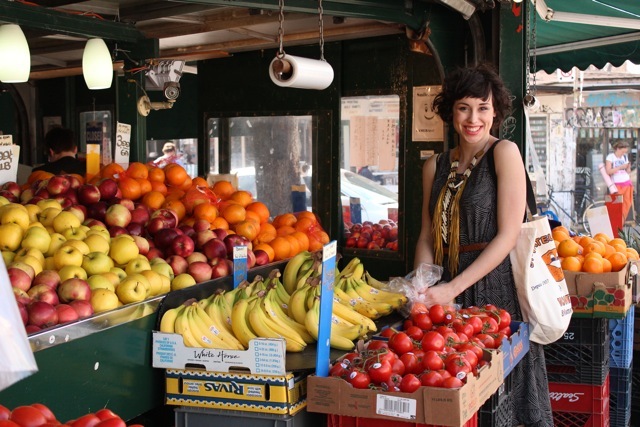 My studio is located in an area called Kensington Market, which is a cluster of side streets overflowing with fruit stalls, vintage shops, cafes and restaurants with food from all over the world. I usually stop on the way in to pick up some fruits and snack for the day. I get to my studio around 10:00am. I say hello to a sweet talking/dancing parrot and I scratch his neck before going upstairs. I share my studio space with a friend who is an accessory and handbag designer, two super talented illustrators, and a miniature landscape artist, and a dog named Coco. 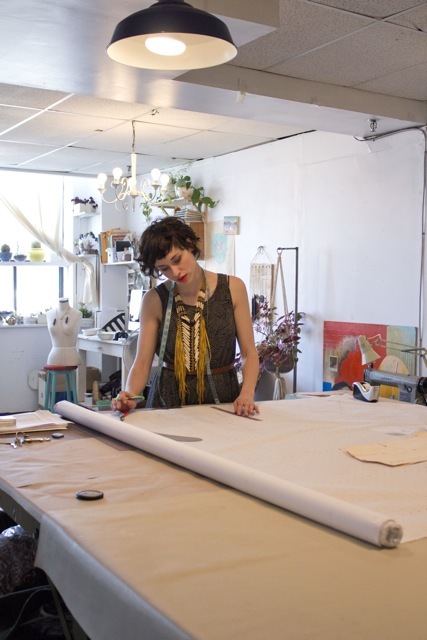 There are a number of studios on our floor filled with fashion designers, artists, and a puppeteer. It’s a really nice place to work out of with plenty of inspiration and creative energy. I put on some music and I start my day with a to do list for the day. I love crossing things off a list! My duties change constantly during different parts of the product development. Right now I’m working on a new pattern collection. I’m in the middle of drafting, which for the next week my time will be dedicated to. 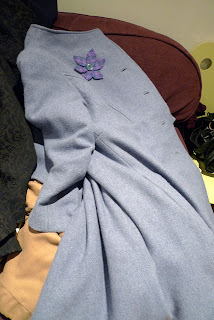 I’m excited to start sewing up the first muslins to see how they look! I’m researching a few new methods to more efficiently produce the patterns. I’m also creating a schedule for the next few months for the collection and for blog posts. For the first half of the day, I work away drafting or working on a post and taking photos in the morning light. I break for lunch around 1.00pm. I usually pack a salad and grapefruit and sit on the rooftop of our building overlooking the city, but if I feel like a treat, I’ll go to the market with my studio mate and grab an empanada or something yummy. It’s been unseasonably warm lately, so it’s nice to sit in the park for lunch. If I have some online work to do afterwards, I take my laptop and work from a café for an hour or so. I return to the studio around 3.00pm and continue drafting. I usually finish working in the studio around 6.30pm, and grab a few groceries in the market for dinner. 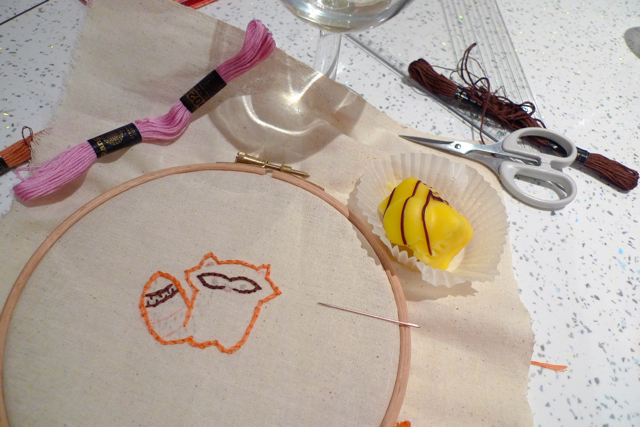 Sometimes I’ll stay late to work on a few things for myself, or friends will pop with a bottle of wine to say hello. On some days I teach in the evening, in which case I leave the studio around 5.00pm to bike over to The Workroom for a 6.00 - 9.00pm class. If I have the night to myself I either get together with a friend for dinner, visit my sister and my little niece or I head home and make dinner. I love making soup, and I love the Smitten Kitchen blog, so anything on there is bound to end up in my tummy one of these days. After dinner it’s probably around 10.00pm. I usually work a bit longer, either on a blog post (which I have to catch up on), researching projects, or creating a press kit. After that, I jump into bed and watch a movie or read a book, which I’m trying to make more time for, but after a long day it’s so hard to stay awake! I’m out by midnight. It’s a lot of work, but I love running this little business. It feels amazing to know that I’ve accomplished something that I could have brushed aside as too much work or a crazy idea. This experience has helped me to be more focused, confident and ambitious. I love the creative freedom and the ability to make my own schedule and work on a variety of projects. I’ve found that one important thing is to make sure that people around you give you encouragement and support and understand the time you need to dedicate to your business. I think the hardest part is balancing my life and knowing when to end my working day. It’s tricky when you love what you do, and it doesn’t feel like work. You can go on and on! The best part is that the work I do helps to inspire people, and gets them excited about sewing. I love that I can share creative ideas and that people respond positively to it. I hope that I can grow this company into something that can sustain me for some time to come!" Your work certainly inspires me, Kristiann - both your gorgeous designs and your positive attitude. I can't wait to try out the patterns! Kristiann is offering my readers 15% off Victory Patterns bought over the next three days. 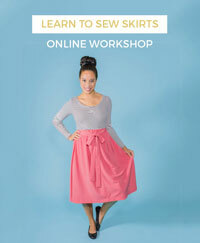 If you're interested, go to the shop and use the code "sew4spring". The code can be used from 12am Saturday morning to 11:59 Monday night. If you like reading about how stitchy business people spend their day, read more A Day in the Life articles here. First let's look at the patterns being used by company. 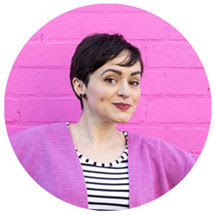 Colette Patterns is a clear favourite with OWOP-ers, which we could probably have guessed already knowing what a strong following they have developed with sewing bloggers. Joint second most popular for OWOP are Simplicity and self-drafted patterns. I was initially surprised by how many people (me included) have chosen patterns they've made themselves, but if you think about it, it makes sense that the most wearable patterns can be those that you have customised for your own individual style and body shape. Burda came in third, followed by Sewaholic, McCalls and Vogue in joint fourth place - good work by Sewaholic, a relatively new company, for rivalling the big guys! 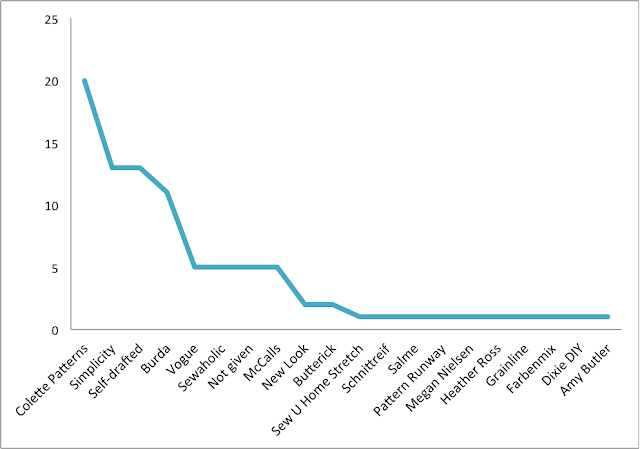 It's also great to see a fairly long tail of smaller designers including, a couple of which I hadn't heard of before. 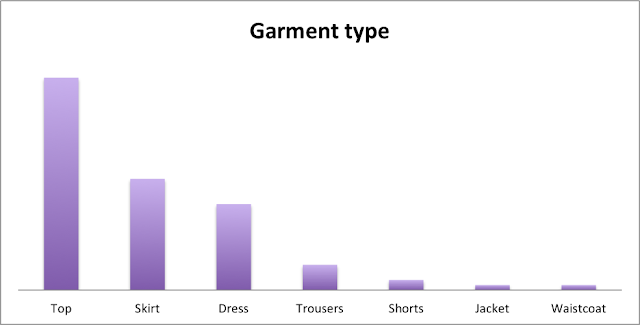 Looking at the type of garment chosen, it's not surprising that tops came out on top, as they're easy to restyle. 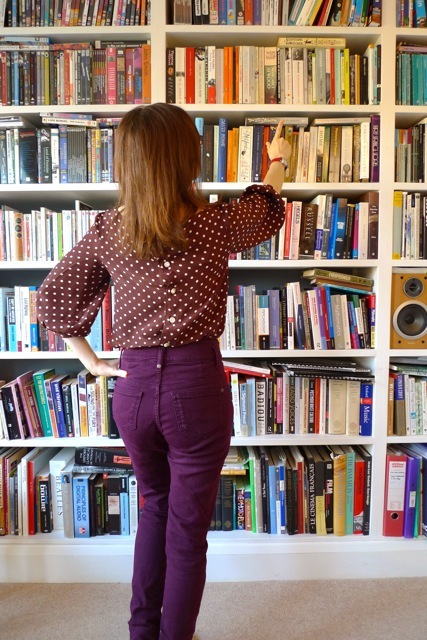 Skirts as another separate are also popular, but why is it that we sew so few pairs of trousers? Oh yes, I remember, because they're so ruddy difficult to fit! 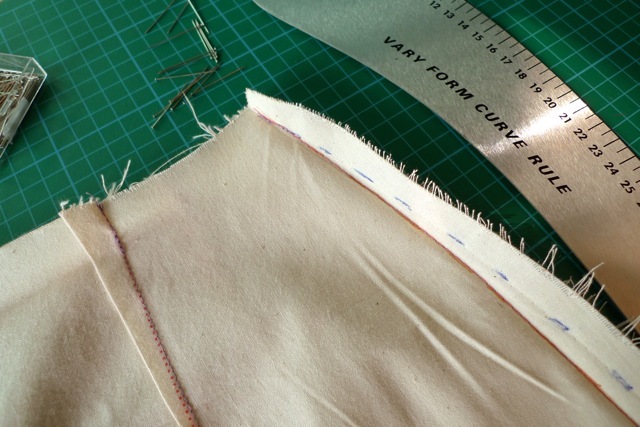 Well, that's why I don't sew trousers (or have given up twice) - what about you? I'm determined to finish a pair soon though. You can remind me I said that. Asked why they chose their OWOP! pattern, the most common reasons given were that the patterns are quick to make; simple shapes that are easy to restyle and dress up or down; comfortable, flattering and provide a great fit; and versatile with different variations available. Have a look at the submissions in the comments on this post if you want to read more. 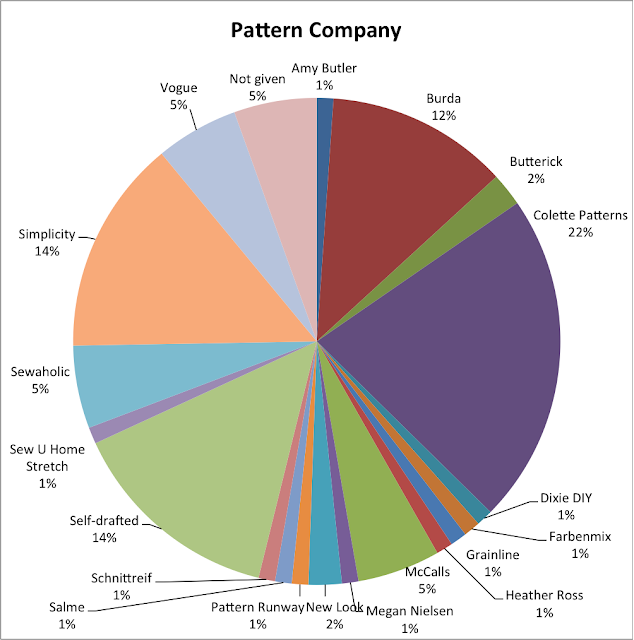 And the most used patterns by OWOP-ers? Sorbetto, Renfrew and Violet. 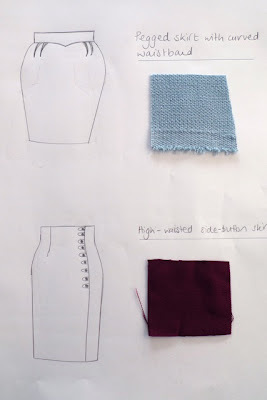 Looking at the simple shapes it's easy to see why they are considered wearable and remixable. I'm often drawn to patterns with fancy details and unusual style lines, the kind of thing you can't buy in the shops. But it's also good to sew things that you'll wear on those days when you don't want to "dress up", or even the kind of thing you'd wear out running, for yoga or to sleep in. Speaking of sleeping, are you still awake or have I out-geeked myself with this post?! If you're still reading, your reward is advance notice of some exciting (like, actually exciting - not pie charts) prizes to be won in three - yes, three! - giveaways next week. I really wish I could enter! In the meantime, please do try to out-geek me - do you have any "interesting" observations about the OWOP! data? UPDATE: Due to popular demand (well, two people asking), I've put the data into a google docs spreadsheet so you can create your own statistical analyses. Wooooooooop! 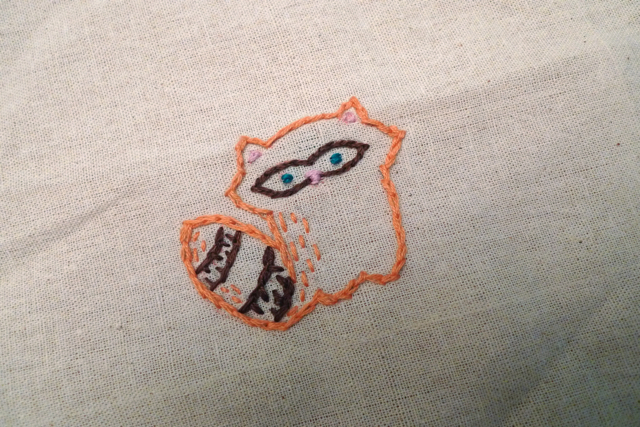 What's on my sewing table? Lots of scrunched up bits of paper, that's what. And tons of pencil sharpenings on the floor. 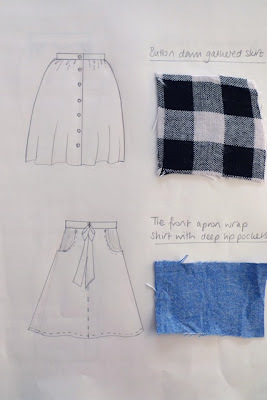 Ever since the first pattern cutting course I took last Summer, I've been meaning to draft a pegged skirt in my size. I finally got started on this a couple of weeks ago and all I have to show for it so far is half a pattern. 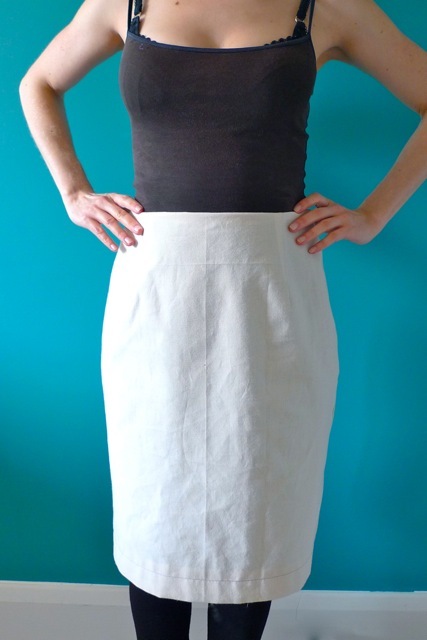 Yes, half a pattern - the front of the skirt. I'm pretty pleased with it, but it's still only half a pattern. I won't go into the long and boring story of all the steps I took to get this far, not to mention the mis-steps which are just plain embarrassing ("I don't need a calculator! I'll can do all the divisions in my head..."). Suffice to say that I feel the worst is behind me and I'm now well on my way. This pattern cutting thing is hard work! OWOP! One Week, One Pattern! It's a group project which will see us wearing garments we've made from one sewing pattern every day for a week, Saturday 24th to Friday 30th March 2012. 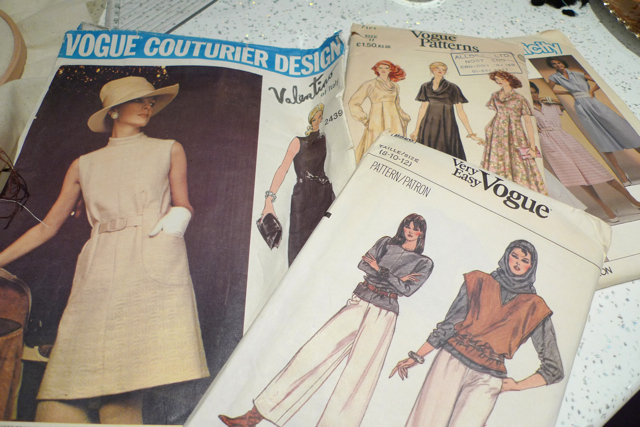 It's about celebrating those sewing patterns that we love so much we use them again and again. 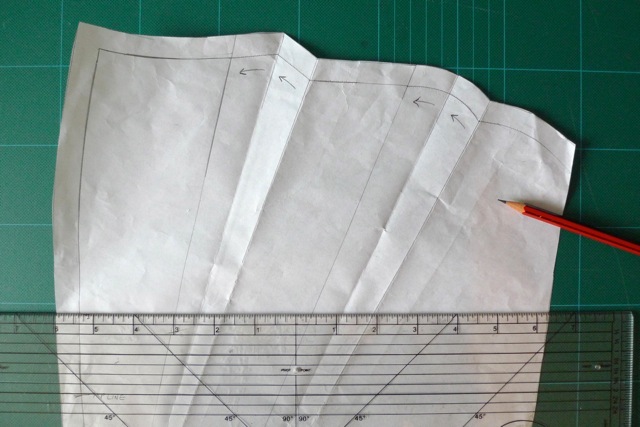 Many of us have a special sewing pattern that is so wearable, practical, versatile, beautiful or for whatever reason it never gets time to gather dust on the shelf before we whip it out again. Personally I'm really interested to find out what other people's favourite patterns are. Plus the exercise may get us to reflect on how much we use the patterns in our stash, or what factors make a well-used pattern. It's also an exercise in restyling what's essentially one style garment (or it may literally only be one garment that you've made), pushing the boundaries of its versatility by creating seven outfit variations out of it. Who needs more clothes when you can remix the ones you've already got? Early indications are that about 90 people are going to participate, which is awesome! Sounds genius! How do I play? 2) Starting Saturday 24th March, wear things you've made from one pattern for seven consecutive days. Take a photo each day to show how you've restyled it / them (see my Beignet week from last year). 3) At the end of the week I'll ask for links to your photos if you care to share so I can create a round-up post of participants. Please keep all 7 photos on one web page. If you leave a link to your photos or blog, I'll assume this means you consent to me borrowing a photo or two for the round-up post - or if you'd rather I didn't, just say so when you leave a link. You may also want to share your reflections on the process. Nope! 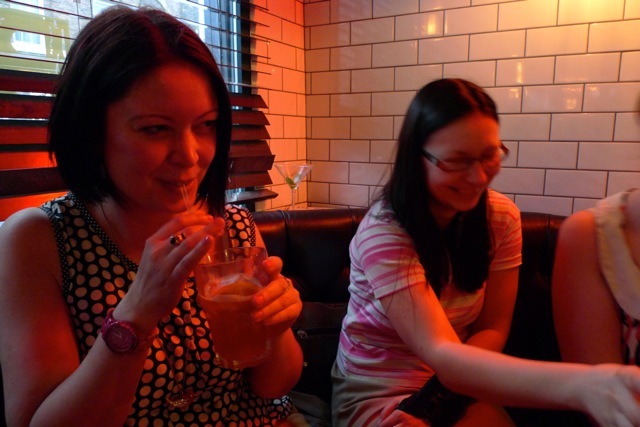 This is a great project for non-bloggers to join in with. How about uploading your photos to a Pinterest board or a Flickr set and sharing the link? I can totally sympathise with that. You don't have to be in the photos. How about arranging the outfits on the floor, on a hanger or on a dress form? I can't do that week. Can I play another time? Sure! Just leave your details in the same way whenever you decide to do an OWOP! week. I'll keep track of people who play along on other dates and do an occasional round up post. In fact, you might want to do it multiple times with different patterns, whenever you feel like it. Just that it's going to be awesome. Did I mention that pie charts might be involved? And prizes, oh yes.